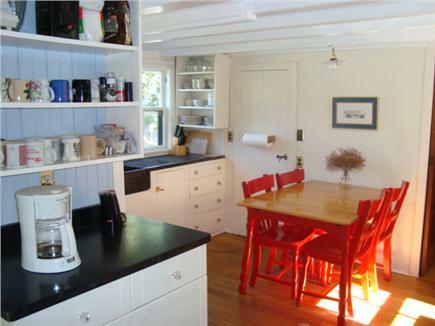 Our welcoming cottage overlooks Oak Bluffs Harbor and Sunset Lake across Washington Park. It’s a short walk to Circuit Avenue, where you’ll find anything from arcades to artisan’s wares; the Tabernacle and Campgrounds, famous for gingerbread houses and tree-lined streets; world renowned Flying Horses Carousel, oldest Merry-Go-Round in the US. There’s a bright and cheerful kitchen, with a vintage soapstone sink. The TV room has a spacious window seat, perfect for naps or reading. The large wraparound porch overlooks Washington Park, Sunset Lake and Oak Bluffs harbor. It’s perfect for coffee, drinks, conversation and dining. There are 6 bedrooms, 2 full baths, plus a large outdoor shower. Upstairs bedrooms have steeple ceilings. Two bedrooms have harbor views. 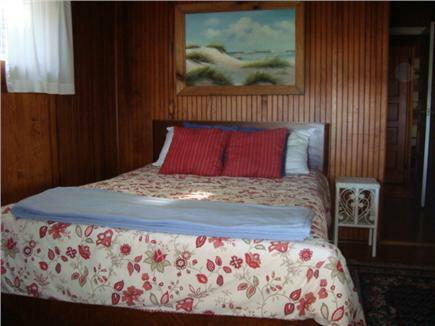 The master bedroom has a queen bed, with sunrise view of the sun glinting off the ocean. Two bedrooms have double beds, two bedrooms have bunk beds. There is a “secret” bedroom over the kitchen with 2 twins, a favorite of young people. The house is great for 2 families or an extended family, equally cozy for a couple. Additional availability info: Available off season for some weekends by arrangement. This is a Monday to Monday vacation rental. Always a pleasure....12th year running! Thank you, Brad. We are always trying to update our house and we appreciate that you recognize that. So glad you had a good vacation! Amazing family week on the Island! Our family has been coming to this very special cottage for many years for our annual family gathering. It has been perfect for us in so many ways. The house is always clean, well equipped & uncluttered. It has 6 bedrooms, the location is within walking distance to the beach, shops & restaurants. 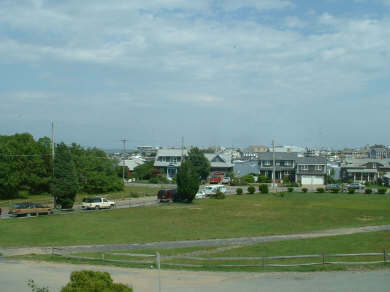 The porch provides a view of the harbor and is steps away from a large park. It is loved by all ages. The owners are readily available and responsible. And we plan to return for many years to come! We rented this house for a week with extended family. It worked out perfectly for us! In our opinion, the best thing about it is the location!! We were able to walk to town and jetty beach easily. Owners were very easy to work with. Overall a great vacation! If you are looking for a beautiful home away from home to spend your MV vacation, SeaSaw is the place. 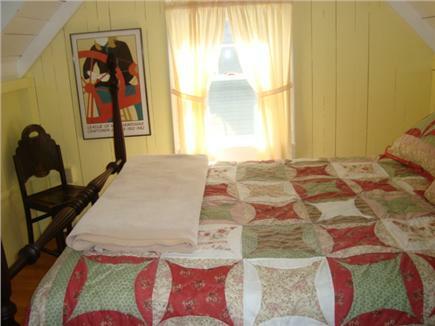 The house is well maintained and has all the amenities you will need to have a fun filled getaway. 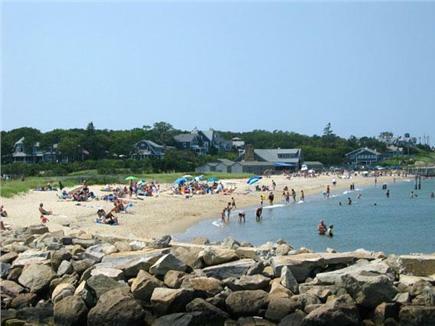 The house is located within walking distance of the heart of Oak Bluffs, the harbor and the beach. My friends didn't want to leave. We will definitely rent this house again. Thanks Jim and Deb for allowing us access to your wonderful house. What a delightful home to spend a memorable week with family and friends on MVI. The home has everything you need to prepare fine meals and dine indoors or outdoors in style. Walking distance to Oak Bluff attractions contributed to convenience and fun. We would definitely choose this home for our next MVI adventure. This place was great for our extended family. Lovely home and great location. Love the porch! I could have spent my entire vacation just sitting there! And the "secret " bedroom was a fun surprise . We have spent many vacations on the island and this has to be the best place yet.